UPDATE: The U.S. embassy in Havana, Cuba was reopened in the summer of 2015 as part of former President Obama’s shameful détente with the Cuban bloody regime. The sonic and ultrasonic attacks on American and Canadian diplomats and their families in Havana happened inside the homes provided by the regime to diplomats and at multiple hotels in Havana. These outrageous attacks may have also happened inside the embassy itself. These attacks started in late 2016 when Barack Obama was president. He covered up the severe injuries inflicted to Americans in Havana. The Department of State under Secretary Rex Tillerson has not reported these injuries on a timely manner. Why the delay in informing the America people of the diabolical incidents against American and Canadian diplomats in Cuba? Secretary of State Rex W. Tillerson has delayed reporting on the acoustic attacks against American diplomats in Havana. 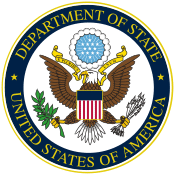 Was there a cover up by the Department of State? Secretary of State Rex W. Tillerson said that in the fall of 2016 American diplomats had been attacked with covert sonar weapons. U.S. diplomats began suffering unexplained loss of hearing and memory problems. Two Cuban diplomats were expelled from Washington, D.C. in May 2017, yet the news of their expulsion and the illnesses of U.S. diplomats suffered in the fall of 2016 were not revealed until August 2017, months after it had occurred. Gámez Torres explained that the Department of State has issued a new alert warning Americans not to travel to the island because of the attacks. This writer believes that if it is dangerous for American citizens and permanent residents to visit the island, America needs to stop all travel to Cuba. But why has the Department of States waited so long to take this measure to protect American diplomats and their families? 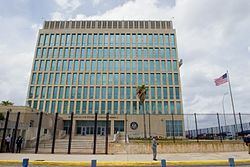 If diplomats were attacked in their homes, why is the Department of State not informing Americans regarding the wives and children of the diplomats who may also have been severely injured? Is this another cover up? Hotel Capri in Havana was one of the hotels where an American diplomat was injured by a sonic or ultrasonic device attack. Why are Americans not being informed of the names of the other hotels where sonic or ultrasonic attacks took place against Americans? American tourists may be staying or stayed in the hotels that are being or were subjected to acoustic attacks. 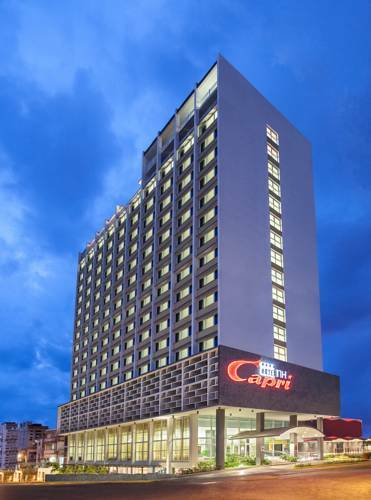 U.S. officials said that in addition to Americans being attacked in their homes, a U.S. diplomat was attacked at the recently renovated Hotel Capri, a 60-year-old concrete tower which is located steps from the famous Havana’s Malecon, the waterside promenade. Now it was revealed that American diplomats were attacked at other hotels as well. Senator Rubio wants the United States to expel Cuban diplomats from Washington. Republican Florida Senator Marco Rubio criticized the administration for not going further. “Shameful that the State Department withdraws most staff from the U.S. Embassy in Cuba but [Raúl] Castro can keep as many as he wants in U.S.,” the Florida senator tweeted. 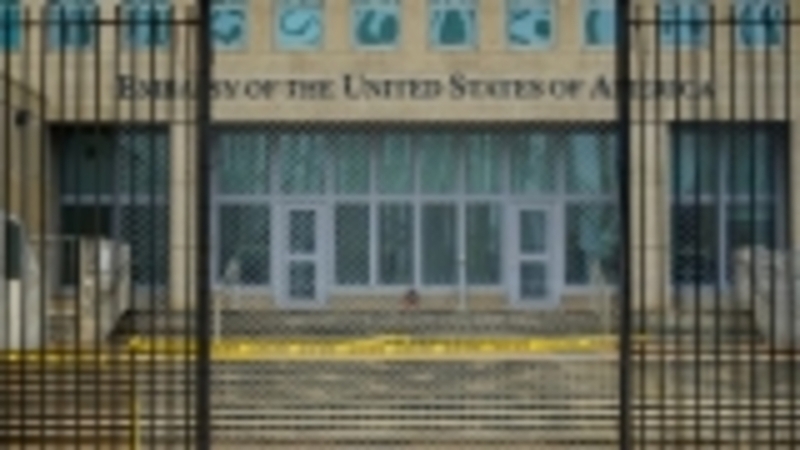 Crabtree pointed out that while U.S. officials said Cuba is still cooperating with the investigation, they stressed that “the probe has produced little usable information that could help protect Americans staying there.” The government official said, “We don’t know the means or the methods or how these attacks are being carried out,” noting that it appears that U.S. embassy personnel are most at risk. “But we cannot rule out given the nature of these attacks that the American public traveling to Cuba might be at risk as well,” the official added. On September 15, 2017, Susan Crabtree wrote an article titled “GOP Senators Urge Trump to Expel Cuban Diplomats from U.S., Threaten to Shutter Embassy” which was published in The Washington Free Beacon website. The reporter said that five important Republican senators asked the Trump administration to expel Cuban diplomats from Washington, D.C. immediately and even close the American embassy in Havana if the Cuban regime is not more forthcoming about the mysterious “acoustic” attacks that have seriously harmed the health of many U.S. diplomats. 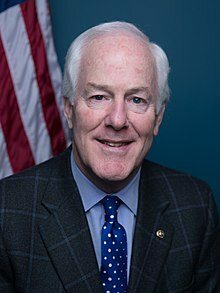 Senator John Cornyn from Texas is a member of the Senate Select Committee on Intelligence. He also serves as the Senate majority whip and is the Number Two Republican leader in the upper chamber. Crabtree wrote that on September 15, 2017, GOP Senators John Cornyn of Texas, Marco Rubio of Florida, Tom Cotton of Arkansas, Richard Burr of North Carolina, and James Lankford of Oklahoma sent a letter to Secretary of State Rex Tillerson asking him to take action regarding the harassment and acoustic attacks on American diplomats in Cuba. The senators want Secretary Tillerson to immediately declare all accredited Cuban diplomats in the United States as “persona non grata” and expell them from America. The Republican senators wrote “that if Cuba does not take tangible action to remove these threats to the diplomats and their families, to take the decisive step of closing the U.S. embassy in Havana.” They also said that Secretary Tillerson needs to remind the Cuban regime of its obligation to protect U.S. diplomats and their families under international treaties. Republican senators who wrote the letter to Secretary of State Tillerson serve on the Senate Intelligence Committee and on the Senate Foreign Relations Committee. Senator Richard Burr from North Carolina is the chairman of the Senate Select Committee on Intelligence. 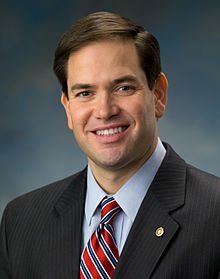 Senator Marco Rubio from Florida is also a member of the Senate Foreign Relations Committee, which has jurisdiction over the State Department and diplomatic personnel. Senator John Cornyn from Texas also serves as the Senate majority whip, the Number Two GOP leader in the upper chamber. James Lankford from Oklahoma serves on the Senate Select Committee on Intelligence. Senator Tom Cotton from Arkansas serves on the Senate Foreign Relations Committee. 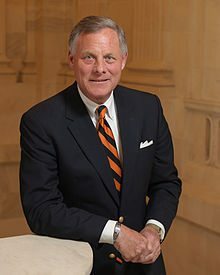 Senator Richard Burr from North Carolina is the chairman of the Senate Select Committee on Intelligence. 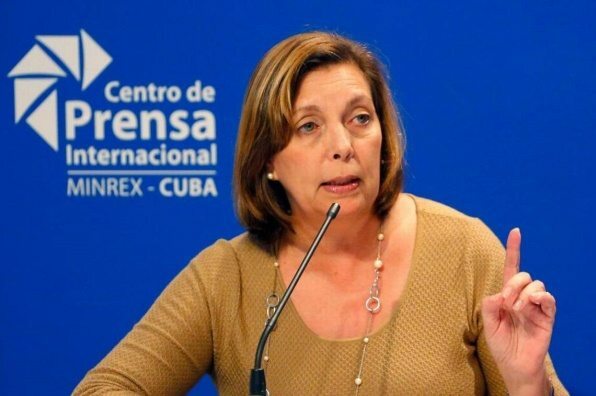 Josefina Vidal has been Director General for the U.S. Affairs Division in the Ministry of Foreign Affairs since 2013. In August 2017, it was reported that Vidal had travelled to Moscow in late July for talks with Russian Deputy Foreign Minister Sergei Ryabkov and the Cuban Ambassador in Moscow Emilio Lozada Garcia. Why did Vidal travel to Moscow? Did Cuba allow the Russians to attack American diplomats? Is Cuba asking for Moscow’s help to deal with this crisis? This writer thinks that if American diplomats were attacked and injured in their homes, family members also are also likely to have been injured. “Not been aware,” as the American official said, is not acceptable! Cuban Foreign Minister Bruno Rodriguez met recently with Secretary Tillerson in Washington. 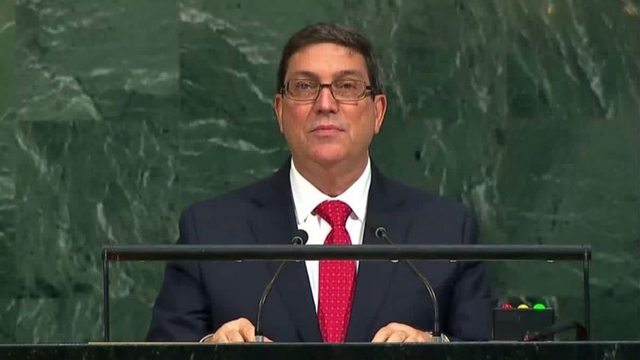 Cuban regime Foreign Minister Bruno Rodriguez in a speech at the United Nations once again denied any Cuban responsibility and said that the Cuban government complies with its obligations to protect all diplomats on the island. Cuba has a very long history of harassing and subjecting to oppressive surveillance American diplomats in Havana. Secretary Tillerson and Cuban Foreign Minister Bruno Rodríguez met recently in Washington, D.C. 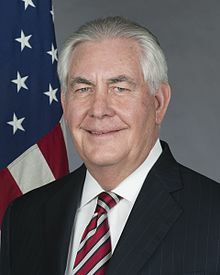 According to a State Department statement, Secretary Tillerson “conveyed the seriousness of the situation and underscored the Cuban authorities’ obligations to protect Embassy staff and their families under the Vienna Convention.”Anti-embargo politicians present compromise on Trump’s Cuba policy change 2:30 The meeting was requested by the Cuban government. The U.S. actions are sure to damage the ties between America and Cuba that only recently began putting their hostility behind. The U.S. Embassy in Cuba has had approximately 50 Americans working there. 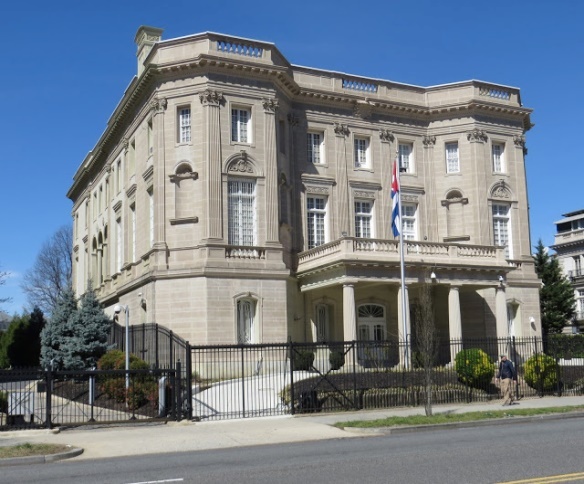 This photo shows the Cuban embassy in Washington, D.C. The Trump administration expelled two Cuban diplomats from Washington, D.C. in May 2017 because Cuba had failed in its obligation to keep American diplomats safe. Strangely, Americans were not informed until several weeks later. Why? 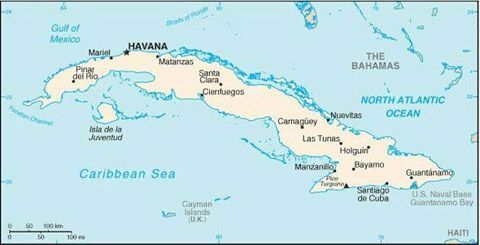 Map of Cuba showing the location of its capital, Havana, where up to 21 American diplomats and some Canadian diplomats were injured with sonic or ultrasonic weapons. American cruise ships visit many cities in Cuba, including Havana, Santiago de Cuba, and Cienfuegos, which bring millions to the members of the communist Mafia who runs Cuba. Over 200,000 cruise ship passengers will visit Cuba in 2017. How would these cruise ship passengers traveling to Cuba will be affected by the travel warning from the Department of State? And those who go to Cuba by air or private boats? It is disconcerting to this writer why America has tolerated so much abuse from the mass murdering Cuban totalitarian regime for almost 60 years. Cuban thugs tortured and killed American pilots in Hanoi and Havana during the Viet Nam War. Cuban pilots flew Migs against American aircraft and a Cuban engineer brigade called Girón operated in the Ho Chi Ming Trail during that war. Cuba has sent tons of drugs to America over the years and Cuban intelligence agents have committed fraud in the billions of dollars against Medicare, Medicaid, and private companies. Cuban spies have penetrated the Departments of Defense and State, as well as the CIA. Cuba has been and continuous to be a center of world-wide terrorism. Cuba has an Occupation Army in Venezuela led by generals and assisted by its intelligence services. Venezuela sends financial help to Iran’s militia Hezbollah. Venezuela sends uranium to Iran, its close ally. The fates of their communist regimes are interrelated. Venezuela and Cuba are national security threats to the United States and both are close allies of Russia and China. Venezuela and Cuba are strong allies and both nations assist Islamic terrorist groups. There is a Hamas office in Havana. Even now the United States has taken pains not to accuse Havana of perpetrating the sonic and ultrasonic attacks. Nothing in Cuba occurs without the permission of the late tyrant Fidel Castro and later his equally brutal brother dictator Raúl Castro. This writer agrees with the five prominent Republican senators who told Secretary Tillerson that “Cuba’s neglect of its duty to protect our diplomats and their families cannot go unchallenged.” This writer agrees with Senator Rubio that the United States should expel all Cuban diplomats from Washington, D.C. The FBI must conclude quickly its investigation to determine if the Castro regime was responsible for the 50 attacks on American diplomats. If it is determined that the Cuban regime was involved or tolerated a third country to attack American diplomats, then the Trump administration will need to consider all of the recommendations outlined by this writer which include breaking diplomatic relations with the brutal regime and implement regime change strategies. America should not tolerate such abuse to at least 21 of its diplomats and their families. If such a courageous regime change policy is implemented successfully by President Donald J. Trump, he would go down in history as the Liberator of two mass murdering communist regimes that have brought much suffering to their people and other nations in the world.